Never underestimate the power of a basic t-shirt, especially a white tee. I'm pretty sure many of us have the one or two or even several white t-shirts (like me) in their wardrobe. They may not stay white for too long, but I'm always keeping my eye out for new ones. I do wear mine a lot, whether it be under something, on its own or dressed up. The white t-shirt especially can be so versatile as it goes well with most of our clothes. 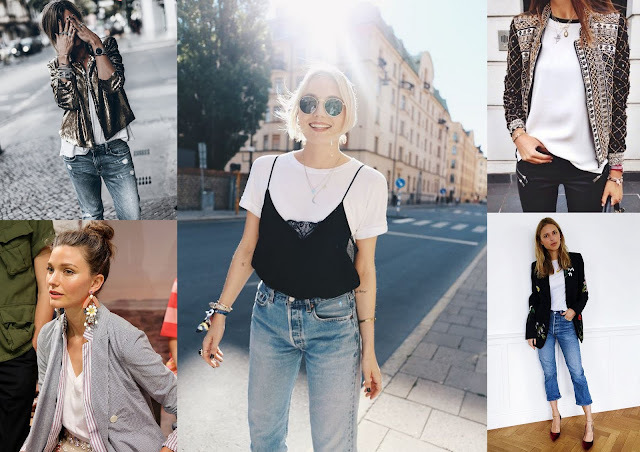 There are many different ways to dress up a basic tee, throwing on a trophy jacket is one of the easiest options. A trophy jacket should transform your outfit, making a statement, perfect over a basic white tee. Jacqueline Mikuta's shows us an example of a statement jacket below top left and how easy it is to make a simple white tee and jeans dressy. She makes every outfit look so good that she has me staring at her for ages. Another way is to wear a lace or silk cami over your tee, which leaves your t-shirt less than basic. Other ways are layering the t-shirt, adding a blazer or showing off some lace under a v-neck tee. A basic tee can also dress down clothes like a statement skirt or trouser, but at the same time it dresses up the basic tee (If that makes sense). Accessories automatically make a statement to your plain t-shirts, try layering up necklaces, adding a neckerchief or wearing a statement earring or necklace. Either way, I think we have established you can never have too many basic t-shirts. 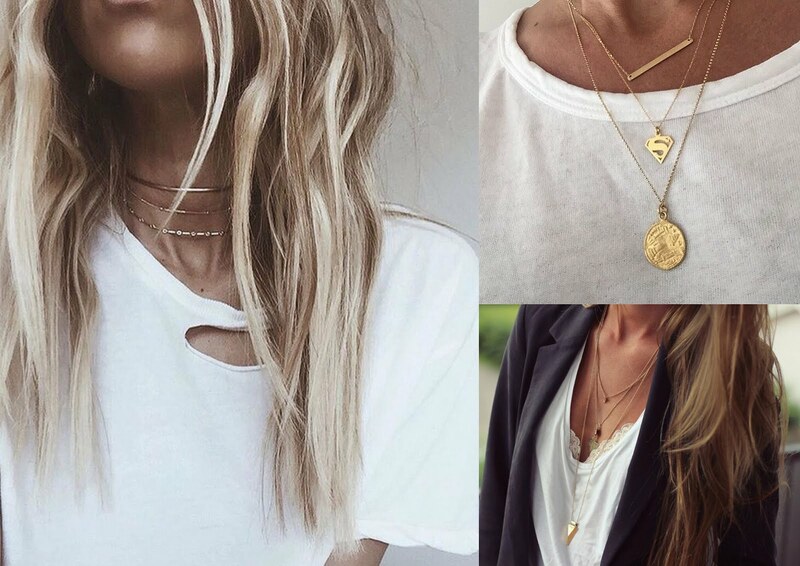 Below are a few ways to wear the white t-shirt. 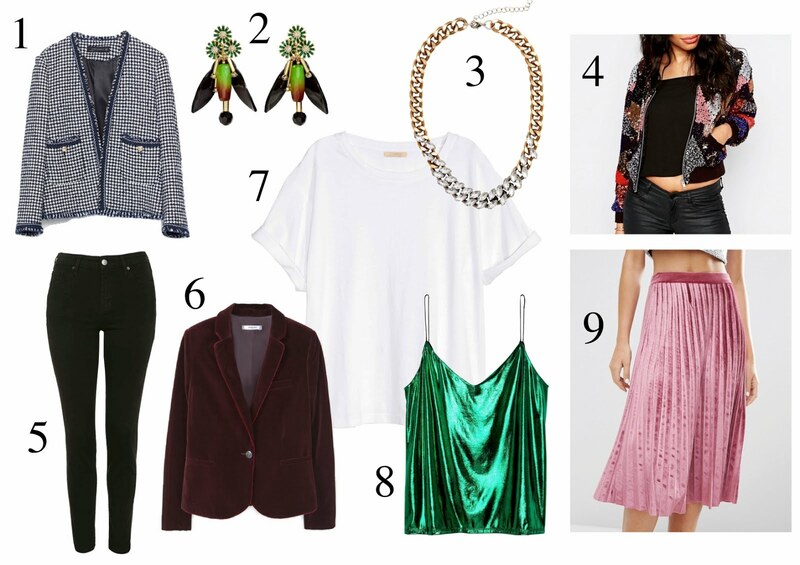 Next time you have nothing to wear on a night out, why not try dressing up your basic tee. Happy shopping and thank you for reading. Hey I found your instagram because I was thinking about buying the ASOS jumpsuit you have. Now I'm totally sold. How does it fit and what size did you go for. I've never ordered from asos so Im not sure whether I should go for my usual 8. Hello Rosie, thank you! I'm usually an 8 too but bought the size 6 as I find ASOS come up a bit too big. I also took the length up by 4 inches. I know they do a petite version but last time I checked it was sold out. Thanks for replying! Thats good to know. Somehow I have never ordered from ASOS own brand before.